It is all well and good to keep in mind all of the study tips for stress that we have provided in our blog, as well as the words of encouragement around exam preparation from teachers, staff and parents, but if you aren’t careful you can easily burn out on studying and fall under an oppressive cycle of stress. When you are under stress, it is often more difficult to get restful sleep, your focus will start to wane, and you will take longer to do simple tasks, let alone extensive learning. It is therefore essential that you carefully balance studying and self-care. The following are some tips compiled with the help of Mrs. Brown, the Brillantmont Student Well-Being and Pastoral Care Co-ordinator, and Victor McClean, the Assistant Academic Head. Plan ahead your study sessions or revision routine. Build in social time and breaks. Organisation means you often do not have to sacrifice your sleep, health, social life, or other school assignments or studying and you can breath easier knowing aren’t forgetting something important. Do not set unrealistic goals like 10 hours of studying this Saturday. Instead set a goal of finishing a certain task and build in breaks. You do not have to know everything if you are worried about a topic start with your strengths to build confidence and always asks questions. Eat well and drink plenty of water. This seems pretty basic, but is often neglected when we get immersed in our studies. Do some physical activity. The best kind of break to reactivate your brain and get new energy includes stretching, going for a short run or walk, or kicking a ball around with friends. Anything that gets you moving and out of your head for a few minutes. Sleep is vital. Do not leave things to the last minute and then pull an “all-nighter.” According to a recent study, one night of no sleep results in impaired movement and focus as well as memory retention. In addition, you will not sleep well if you try to study right up to going to bed. Do something to wind down and relax before you go to sleep. Do not revise the morning of the exam and avoid talking to friends about the exam as this will lead to stress. Your environment is important. Find a tidy, clean space that will limit distraction and interruption. 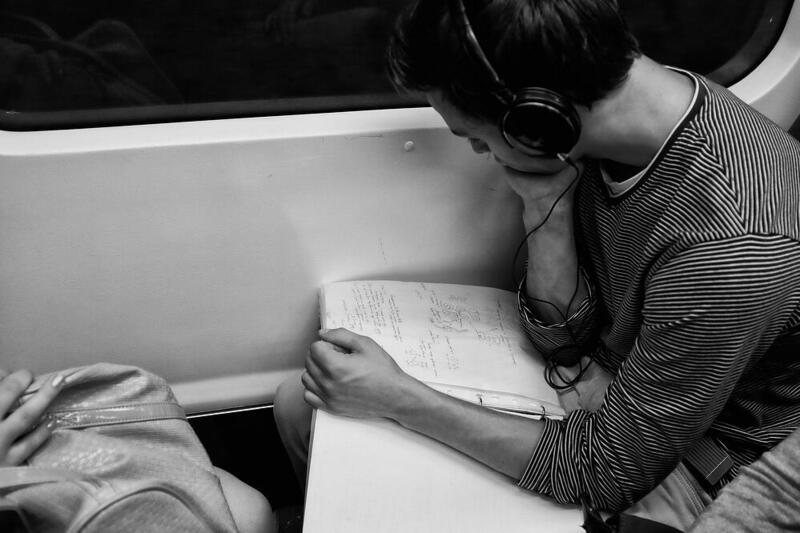 If you study well listening to calming music, put your headphones in. Clutter can increase stress and the sense of overwhelm. Be honest with yourself and know your limits. Allow this to guide your study habits. Use teachers and staff as resources and support. It is never too early or late to reach out. Ask for help in looking over your study plan. Ask other students to join you in a study session. Ask your teachers questions as they come up and go to review sessions offered by staff. To learn more about the academic programmes and support offered by Brillantmont International School, click here.